Brother CS8800PRW would have been a great deal if it was priced better. Otherwise there is a better alternative from Brother itself. Let us hope the price will come down. CS8800PRW belongs to the unique range of limited edition project runway machines. It isn’t as popular as the XR9500PRW yet, but still packs some nice features. The machine comes with 80 built-in stitches which includes 8 one-step buttonholes. CS8800PRW is a computerized sewing machine (not honestly). Yes, it has an LCD screen for stitch selection, but that doesn’t make it a computerized sewing machine. 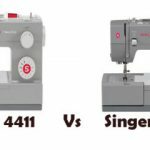 You can say that it is a semi-computerized sewing machine as it lacks features like start/stop button, speed control slider, programmable needle up/down button etc. The machine has an automatic needle threader for effortless threading. It also has an easy to use top drop-in bobbin. Sewing space is brightly illuminated by LED bulb. 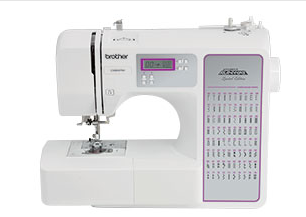 Sewing cuffs and sleeves are easy as Brother CS8800PRW is free arm convertible. 7 point feed dogs ensure smooth fabric feeding. 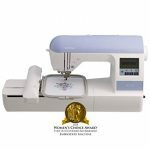 Free motion quilting and sewing is a breeze, as it comes with drop feed mechanism. It has a powerful motor capable of delivering 850 stitches/min. Stitch width and length can be adjusted with the buttons provided next to the LCD screen. 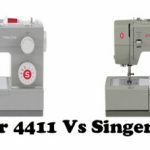 The maximum stitch width is 7mm and stitch length is 5mm. The machine is very lightweight, weighing at just 10.58 pounds. So CS8800PRW would be ideal for those who attend sewing classes. Machine comes with 25 year limited warranty as well. The operation is very quiet when compared to other machines. You can go really fast if you want to. Brother CS8800PRW is very stable, no vibrations whatsoever. Straight stitches are absolutely straight. Stitch quality is consistent across different types of fabrics. There is a nice variety of stitches to choose from. The sewing light is nice and bright, so you don’t need to rely on exterior lighting. Features on paper does convert into performance. 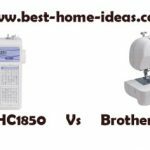 Even though Brother says that CS8800PRW is a computerized sewing machine, actually it is not. It doesn’t have start/stop button and speed control slider which allows you to sew without the foot pedal. Programmable needle up/down is another must have feature for quilters, which is also absent on this machine. Yes, only if the price is good. Currently Brother CS8800PRW is priced similar to Brother XR9500PRW which is far more advanced in features and quality. XR9500PRW has 100 built-in stitches, start/stop button, speed control slider, Needle up/down, quilting table etc. 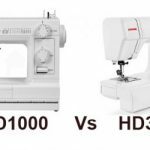 Moreover it has been voted as the ‘Best Sewing Machine For The Money – Under $200’. So the price of CS8800PRW has to come down, in order to make it more appealing to customers.